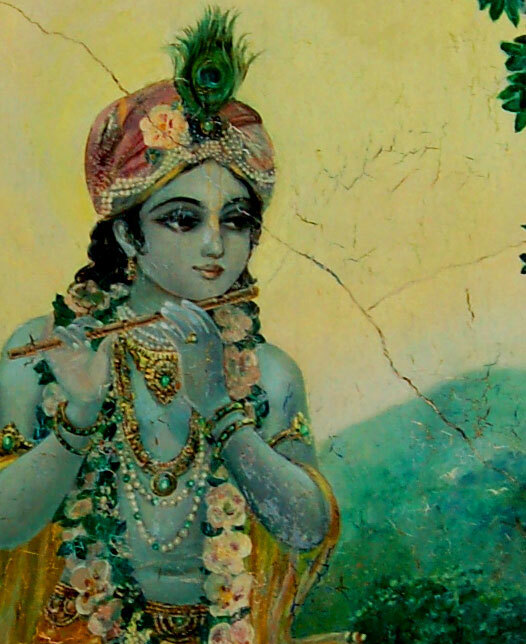 Today is the birthday of Krishna - the greatest Yogi to live and one of mankind's most inspiring philosophers. Krishna is recognized by many religions: to Hindus, an avatar of the sustainer; to Buddhists, an incarnation of one of Buddha’s chief disciples; to Jains, part of the 22 heroic figures; to the Bahá'í, a Manifestation of God; to Ahmadiyya Muslims a prophet; and to Hare Krishnas, the Supreme Person. In his honor, I'm sharing a few of my favorite verses from the Bhagavad Gita, his famous sermon to the prince Arjuna. These are translations from my upcoming book - enjoy the sneak peek! Life constantly shifts between happiness and sadness, just as the weather shifts between warmth and cold. Such physical sensations arise from contact with matter and are fleeting. They come and go in their due course. So try to endure them without any agitation, O Arjuna. Work for the sake of the work itself; this alone is your right. The results are beyond your control, so never act for a reward. But never fail to act either. Perform your life’s work steady in Yoga: without desiring or worrying about the results. Yoga means equanimity in both success and failure, O Arjuna. As many rivers pour into the unmoving ocean, let all desires pour into your mind, but never let them move you. Peace is not won by entertaining the mind’s cravings, but by receiving them into stillness. Just become that vast ocean of calm into which all desires merge. Then peace will find you. Move about unfettered by the chains of sensual craving and desire. Be free from all egoism and prideful ownership. This is the way to lasting peace, the state of divinity. Attain it but once – never again will you fall back into confusion like this. Even as your body slips into death, you will live in endless enlightenment. Whenever virtue suffers and wherever chaos prospers, I take form. To deliver the virtuous, defeat the wicked, and reinstate dharma, I manifest continually. From whatever direction one approaches me – from that direction I receive them into my care. All paths are my path and all destinations end with me. All created things were created from my energy – which is the source of matter and spirit alike. I am the force that projects and dissolves all the universes. Arjuna, nothing exists beyond me or apart from me. Everything hangs on me like pearls on a thread. I am the taste in the water, the radiance of the sun and moon, the sacred AUM mantra, its vibrations in infinite space, and the power in mankind. I am the fragrance of the soil, the heat of the fire, the life in those who live, and the penance of those who atone. Wherever there is power, beauty or glory, there is a spark of my divine radiance.